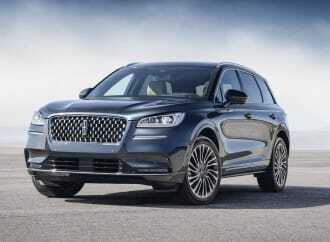 With the mainstream crossover game growing very quickly, it has become evident that every manufacturer is essentially required to have a competent player in this segment. This is also the most popular segment for our friends to have asked us for advice on, and the DoubleClutch.ca team has been responsible for the sales of at least ten Foresters this past year. 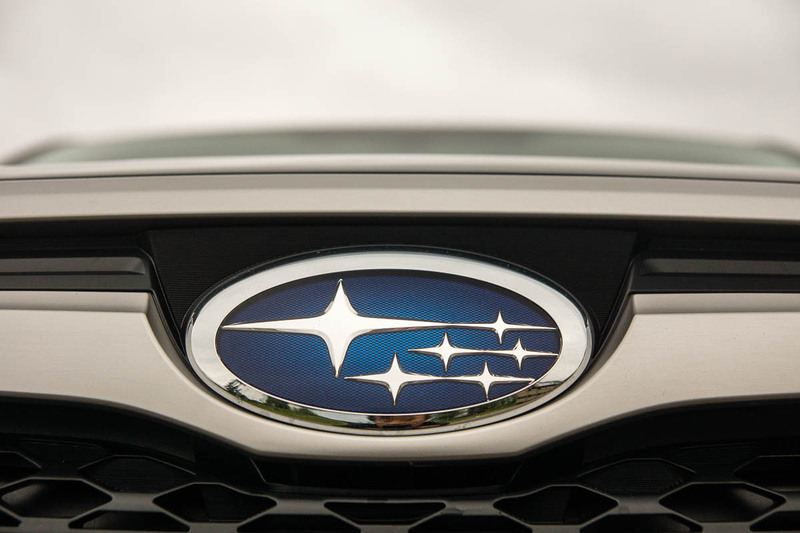 It was only fitting, then, for us to play with a rather rare model, and Subaru Canada obliged by sending us the exact trim level we had been waiting for. So commenced our test of the 2016 Subaru Forester 2.5i Touring with the manual transmission. 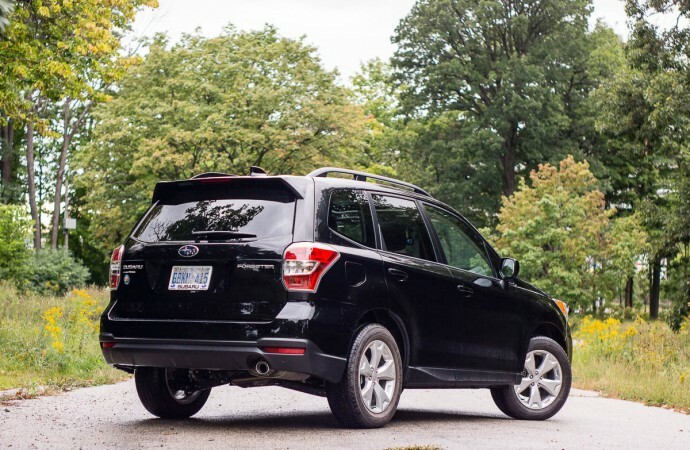 That’s right, the Forester can be had with a traditional stick-shift in something other than the most basic trim level, but more about that a bit later. 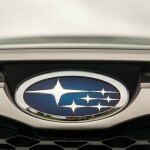 Subaru takes pride in a few things, but luxury is not one of them. 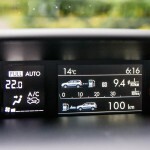 They strive to make their vehicles user-friendly, simplistic, and to-the-point. 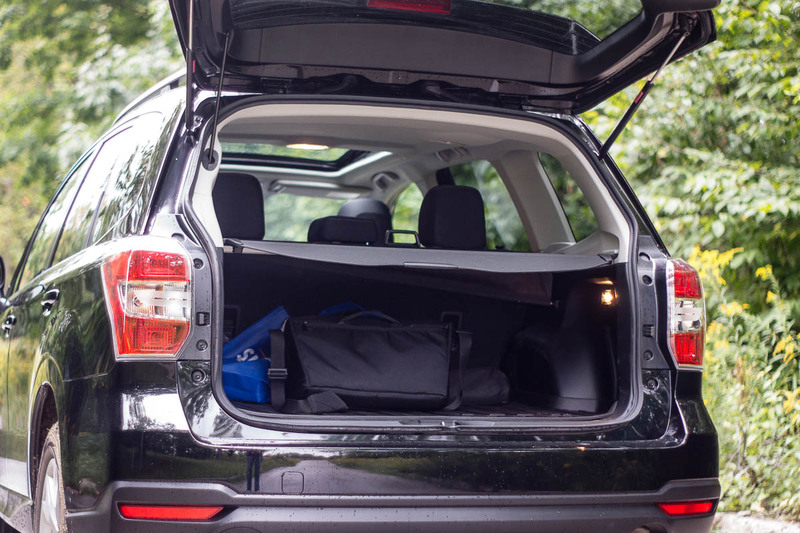 The Forester is a prime example of this – it’s not as plush or lavish with toys as my second-favourite in this class, the Hyundai Santa Fe Sport. 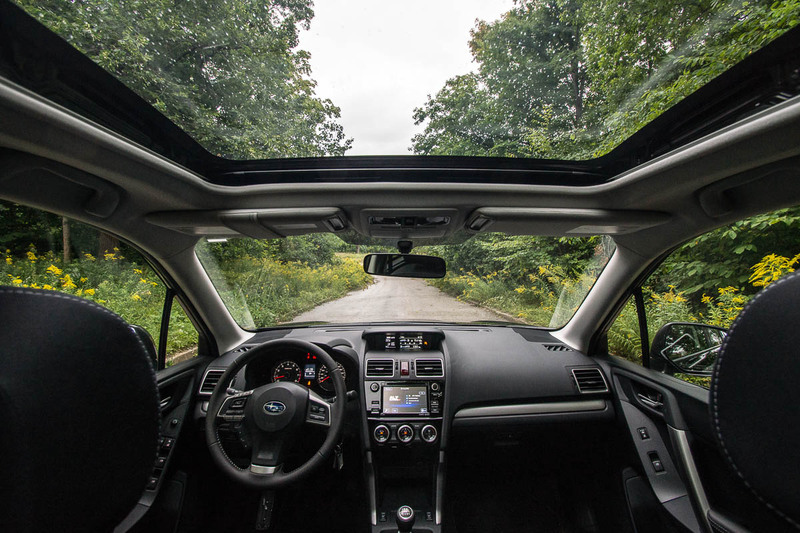 However, the huge windows and gigantic sunroof mean the Forester brings in a ton of natural light, and is a more pleasant place to be. 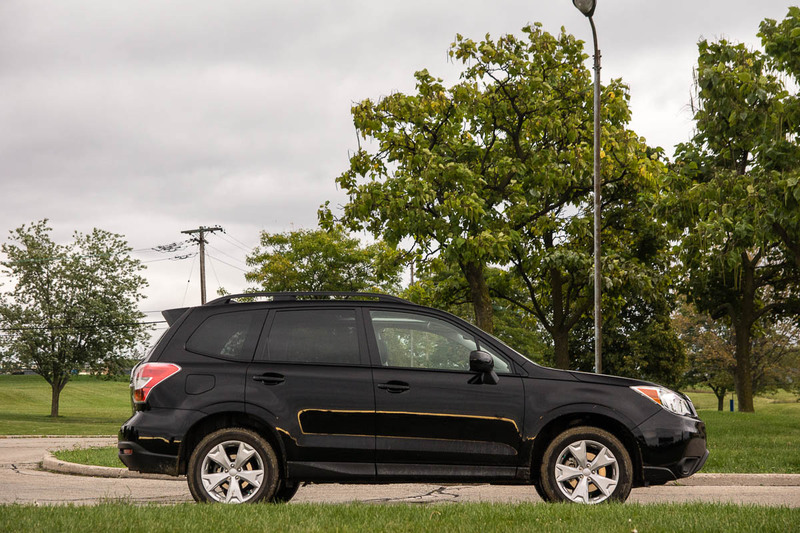 When designing the Forester, Subaru’s R&D team went with a very conservative design that’s actually fairly anonymous, but still handsome. 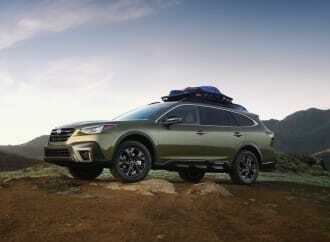 The two-box crossover look is at play here, with large front fog lamps, the unmistakable Subaru corporate grille, and roof rails that are actually usable rather than just for added rugged looks. Despite being pretty capable, the Forester sits relatively low to the ground, making it incredibly easy to enter and exit the vehicle, something that’s an added bonus for older buyers or those who have mobility issues. Our tester was equipped with 16” alloy wheels that are a needed upgrade (for style points) over the regular steel applications on the base model. 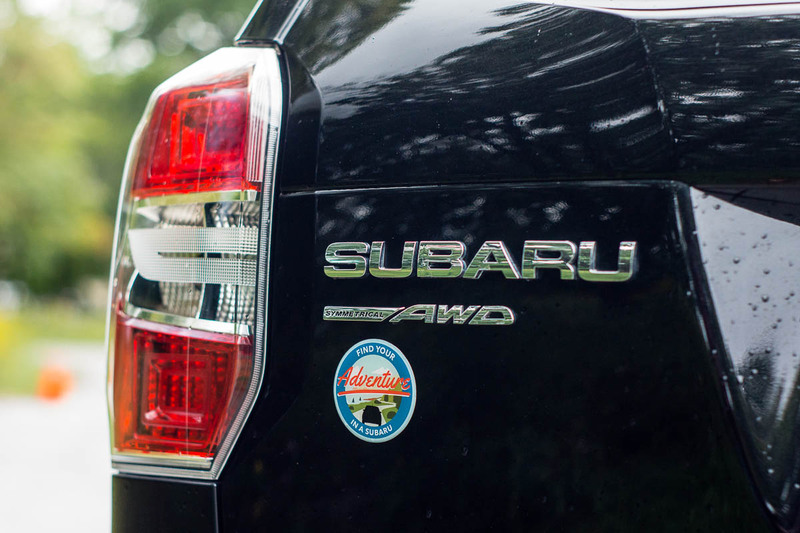 Under the hood is where the magic begins to happen, because the Forester makes use of Subaru’s flat boxer four-cylinder. It’s a no-nonsense naturally aspirated 2.5L unit that pushes out 170 horsepower at 5800rpm, and 174 lb-ft of torque, available at 4100rpm. 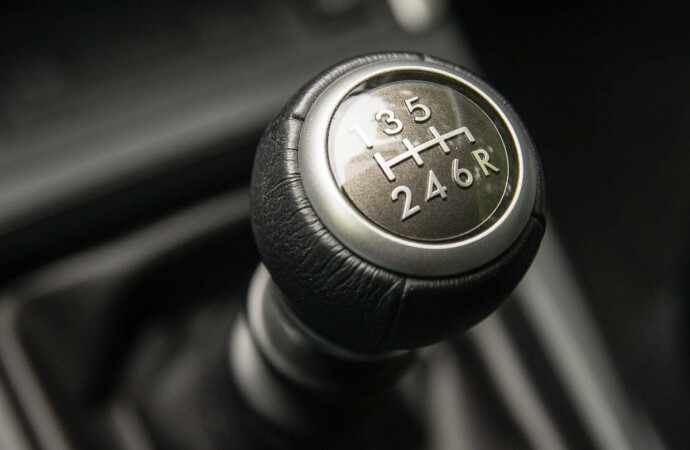 There is an optional Lineartronic CVT transmission, one that we expect most buyers to opt for, but the six-speed manual equipped on our test vehicle is specifically oriented for the purist. 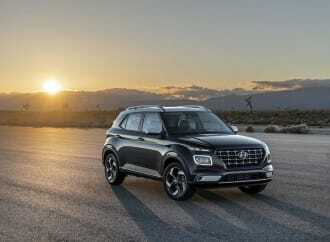 And what better vehicle for the purist to opt for, because it’s one of just two crossovers available on the market that can be had with both four/all-wheel-drive and a stick. Before the recent introduction of Jeep’s Renegade, the Forester was the only AWD/manual transmission combination in this segment. The Mazda CX-5 and previous-gen Hyundai Tucson could be had with three pedals, but only in front-drive form. 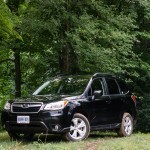 The Forester is actually pretty good to drive, too. Throttle response is sharp, and the motor is pretty responsive. It’s not as quick as the turbocharged motor in the up-level XT models, but the 2.5L gets the job done nicely and without muchof a fuss. The boxer engine is a little bit on the noisy side, and those looking for refinement or overall quietness may find their match elsewhere. Despite being loud, the boxer is very smooth in operation and eager to demonstrate its modest capabilities. 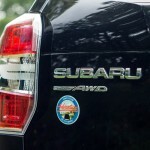 Thanks to its lower center-of-gravity, the Subaru actually handles spectacularly. Steering is linear and direct, with excellent responsiveness and great feedback. That rough-and-tough personality helps this thing dance effortlessly when asked to. 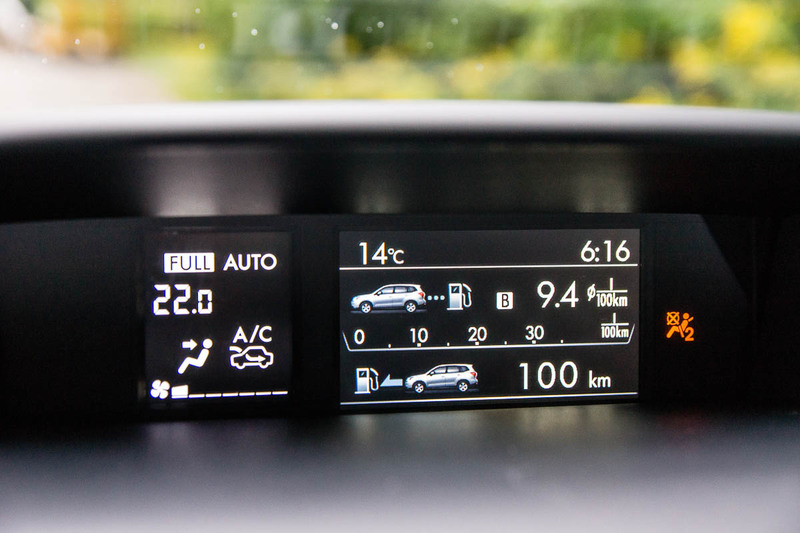 Automatic models are equipped with “X-mode”, which optimizes electronic control of engine behaviour, all-wheel-drive system, VDCS (Vehicle Dynamics Control System), and the brakes. 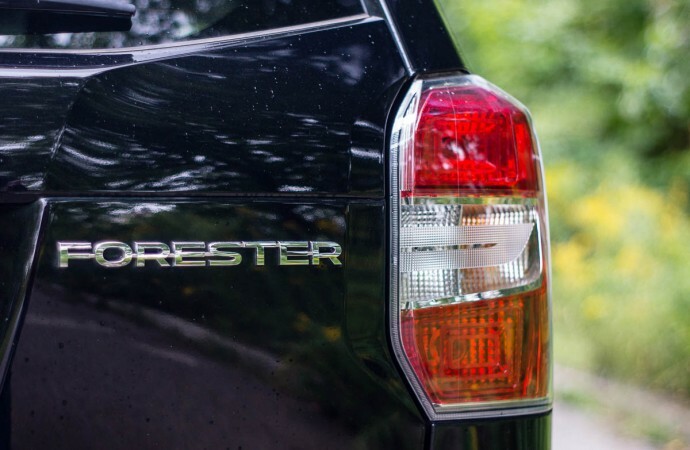 This manual model lacked X-mode, but because our test was conducted in the summer and we didn’t venture off the pavement, the opportunity to truly put the Forester through its paces off-road never arose. 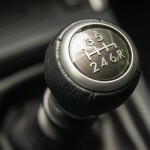 The six-speed manual transmission is a pleasure to use, with shift throws being on the shorter side for a crossover, and clutch travel being predictable. Rev-matched downshifts are easy, and pedal placement is convenient for heel-and-toe maneuvers. There’s a lockout on the shift knob for reverse, and Subaru has even implemented a reverse camera on this model. 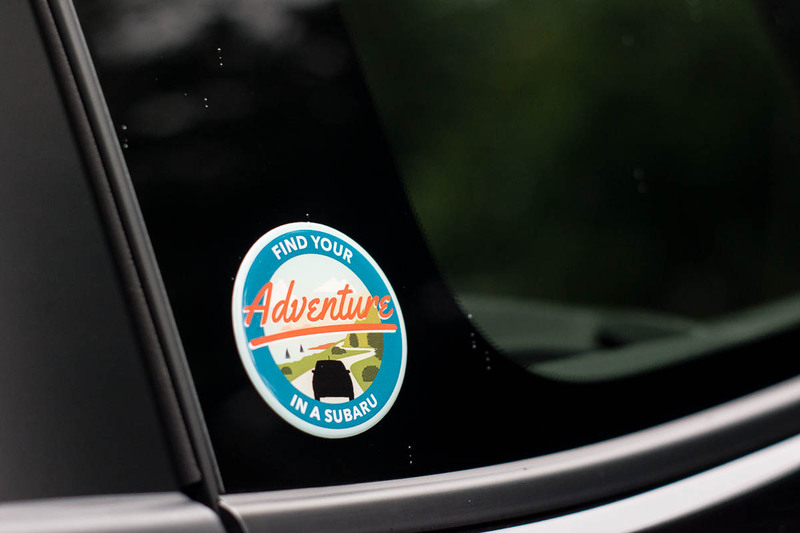 The added versatility of this transmission allows for more capability when venturing off the beaten path, something that Subaru drivers have been proudly doing for decades. Symmetrical all-wheel-drive is a tried and tested system, which is virtually unbeatable. 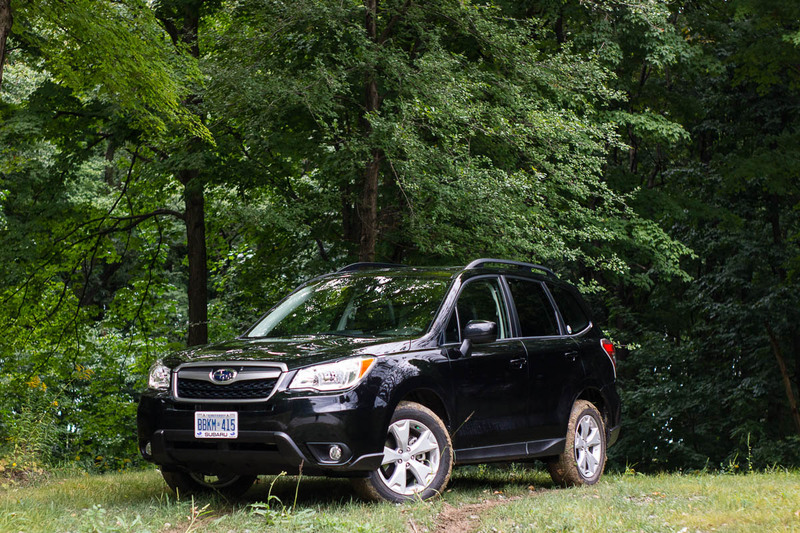 If anything, the Forester has a clear advantage as boasting the best all-wheel-drive system in its segment by a wide margin. As much as purists tout against continuously variable transmissions and in favour of the manual, it’s hard to argue with numbers. 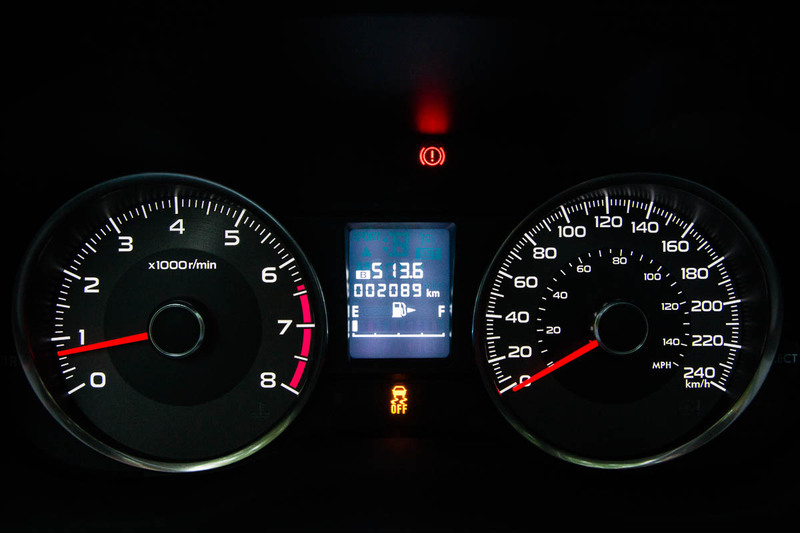 We’re at that stage where a good CVT (and Subaru makes one of the best) attains much better acceleration numbers as well as better fuel economy than a comparable manual transmission. The fact is, when automated, the system does things better on its own rather than relying on human input. I’ll admit to being a purist though, and wholeheartedly prefer rowing my own gears and having the physical presence of a clutch rather than having marginally better fuel efficiency. The Forester is relatively efficient too. The turbocharged XT is a bit more of a gas guzzler that requires premium fuel, but the regular 2.5i is more than enough performance for most people. Over two combined cycles, we averaged 8.7L/100km with a good amount of highway driving. A similar test on a 2.5i Touring with the CVT in identical weather conditions last year returned 8.3L/100km, so the difference is there. 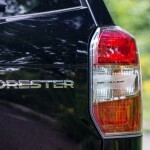 The Forester’s tank will accept 60L of regular fuel, so road trips won’t require constant stops. 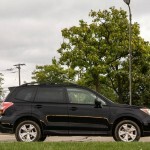 For the 2016 model year, Subaru has implemented a series of minor changes to the Forester, centered around the infotainment bits. They have done away with the old monochromatic stereo unit on non-navigation models, and have added their corporate StarLink system. 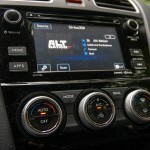 It’s a decent system to use, but it’s completely incompatible with older Apple iPods. I was able to set everything up well including Bluetooth connectivity for my phone, but I rely on a standard USB connection for my five-year old iPod Classic. Each time I turned off the ignition, StarLink not only forgot what I was listening to, it froze my iPod resulting in a hard reset. 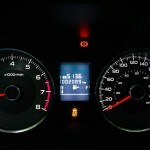 It wasn’t just me that experienced this either – the local Subaru forums report similar issues. The only way around this was to play music using a traditional aux-in cable, and using the cigarette lighter to charge my device. 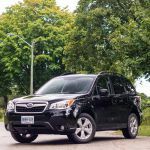 The last time I drove a Subaru Forester, I liked it enough to recommend it to a few people, but there were some small issues. 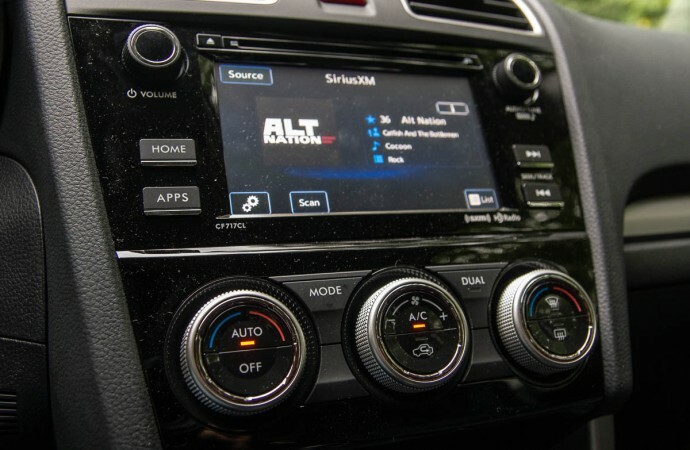 The first was that even after the major redesign for the 2014 model year, there was no “tap” feature for the turn signals, which would presumably blink three times to make a lane change. 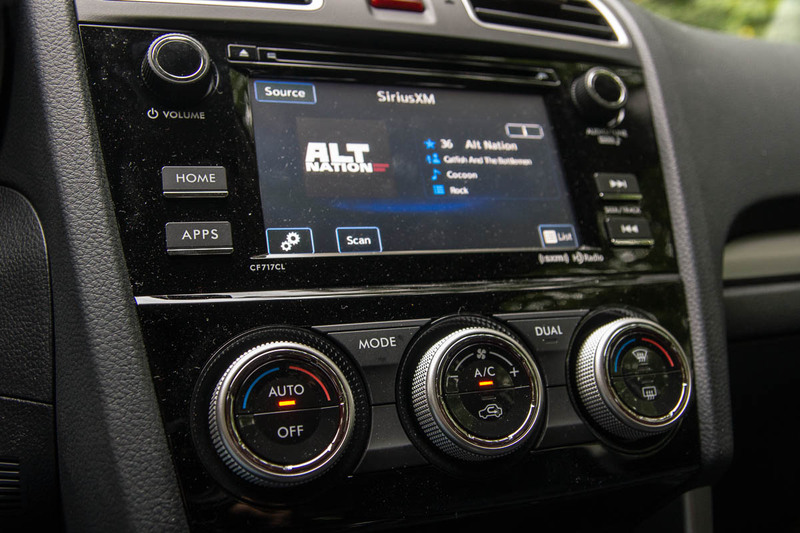 Additionally, the 2015 2.5i Touring model I drove last year lacked satellite radio. 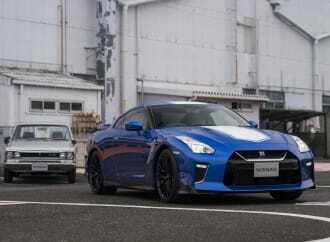 Both of these issues have been addressed and added for the 2016 model year. 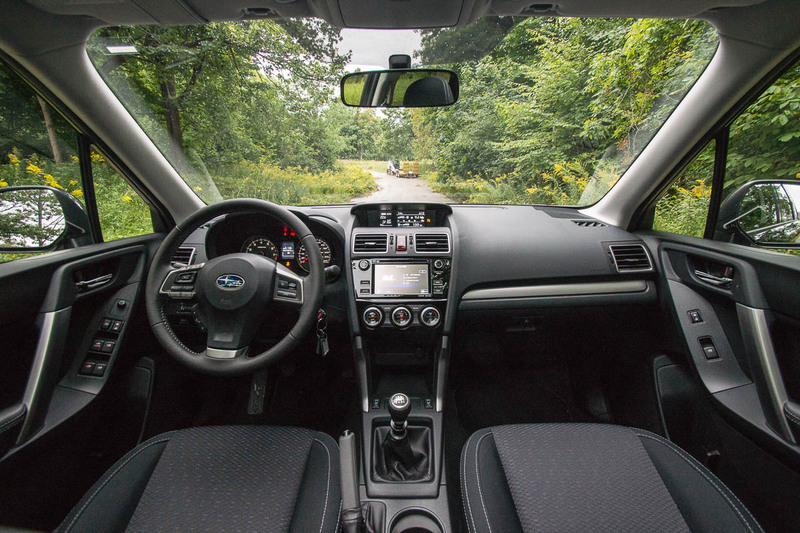 Thanks to the addition of StarLink (as infuriating as it may be with the iPod), the interior of the Forester feels fresher and more modern, exactly where it should be in this segment. There are still some hard plastics around the cabin, and the display within the instrument cluster is monochromatic and dated to look at, but seat materials are nice and there’s plenty of head and legroom for all passengers. 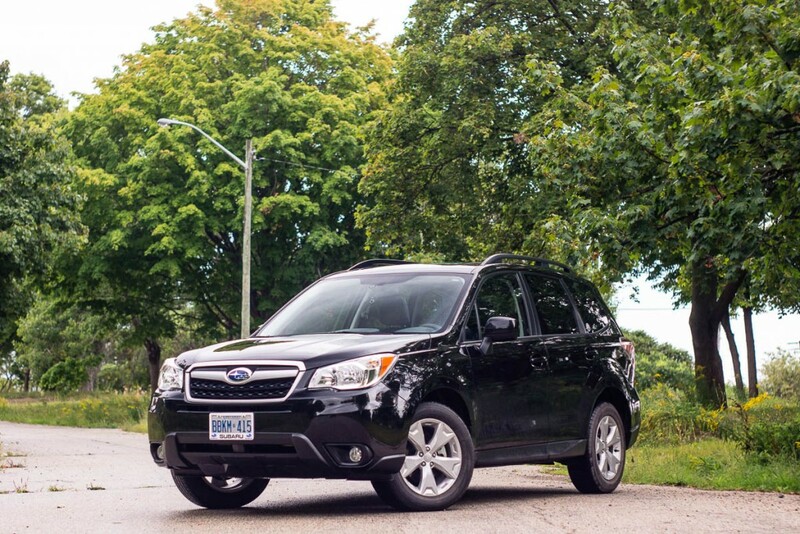 At $29,995, the Forester 2.5i Touring sits above the 2.5i and 2.5i Convenience models, and is the highest trim available with a manual transmission. 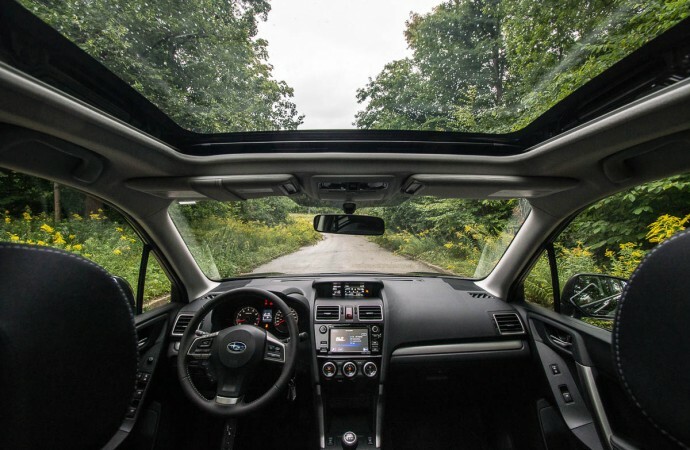 Along with the standard features of the base and Convenience models, the Touring adds the huge sunroof, leather-wrapped steering wheel and shifter, rear-view camera, rear privacy glass, a powered liftgate, and heated seats. Automatic models come with the intelligent key, whereas the stick stays with a traditional key with integrated buttons for entry/exit. 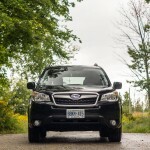 Though the Legacy and Outback siblings with the manual option are limited to the Canadian market only, the Forester is available in the United States with the stick, in base and 2.5i Premium configurations. 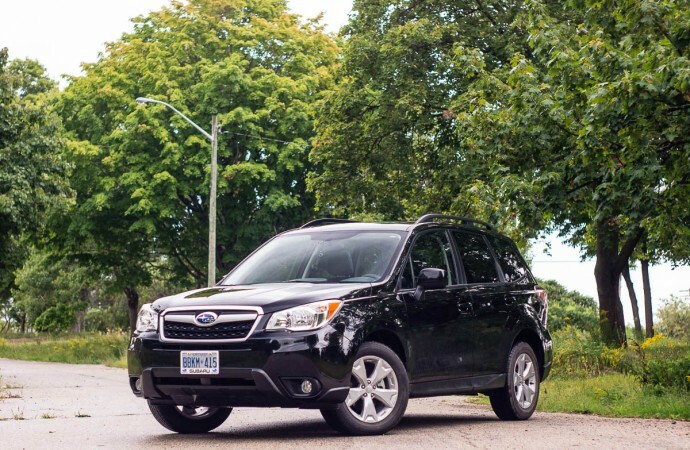 Save for the three-pedal transmission, the 2016 Subaru Forester 2.5i Touring is a volume model in the crossover lineup. 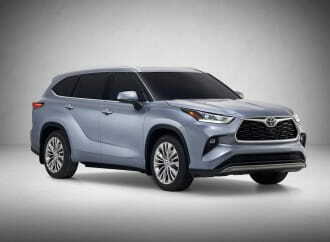 It boasts enough standard features to keep everyone entertained, and comes with the robust feeling of ruggedness that few other crossovers offer. 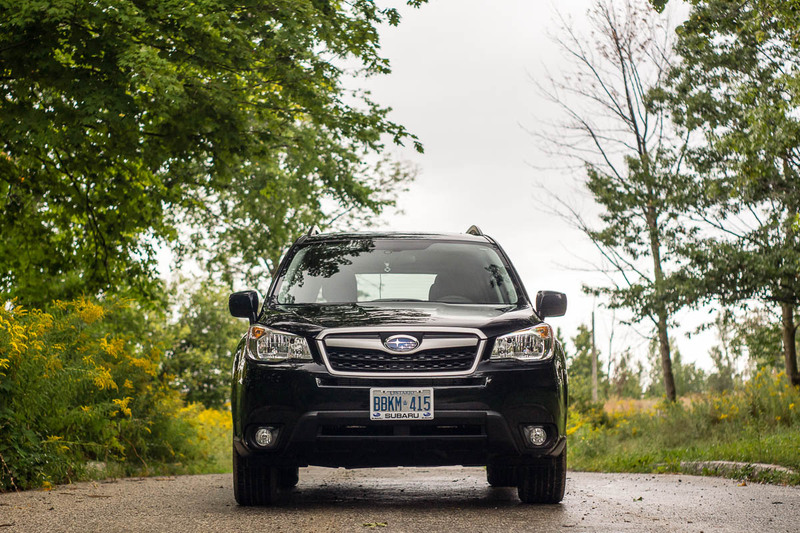 Despite having its flaws, the Forester is an excellent choice that stands out in a segment full of vanilla, with its unmistakable boxer engine note and tough demeanour. 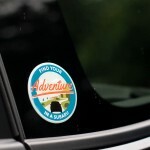 This is a crossover that will be a loyal companion for years worth of outdoor adventures without skipping a beat.